"The child has no father." Utterly incomprehensible. Cannot be learned if you are out of your teens. you say: "у ребенка есть отец", ( father is nominative) and yet when negating you change to " у ребенка есть отцa", obviously the negation changes the case? for father. Right. To express absence or 'not having', you use «нет» and put the noun in the genitive case. I think it's because you're essentially saying "I don't have any father" in negation. I don't have one of all the fathers that exist. Switching objects, In English you can say both "I don't have an apple." and "I don't have any apples." Since articles like a/an don't really work like that in Russian, only "any apples" makes sense. Why not "У мальчика нет отца". 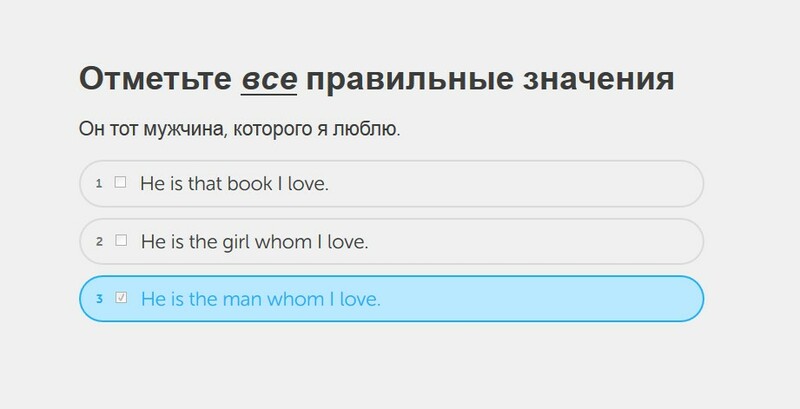 The sentence right before this one said "У мальчика нет матери". Ма́льчик is 'boy', ребёнок is 'child'. There is a sentence that translates out to "The boy has no mother", maybe that's what you're thinking of? Why cant we say " у сына нет отца"? Because «сын» is ‘son’, «ребёнок» is ‘child’. Сын presents someone as a child of some parents (or a parent), ребёнок presents someone as a yong person. Сын is generally not used when we're not talking about the relationship of the son with their parents, and if he doesn't have a father, then he doesn't have any relationship with him. So, it could only work if we talked about the child's mother before. Ребёнок works in many more contexts. Why can't we use отец here? Negation, i.e the нет in front of отец requires genetive - отеца, then take away the fleeting vowel to form отца. Can you use есть here? No, because you're literally translating it as "the child has does not have a father." Есть and нет in this case are opposite. Ребёнок is indeed the nominative for child, but because У ... нет was used (or if У ... есть had been used), ребёнок must now be changed into the genitive, which is ребёнка. Why can't I translate: "У ЭТОГО ребёнка нет отца"??? In English, “this” and “the” are not the same. Please have a look here. http://images.vfl.ru/ii/1521987581/6faa9358/21110277.jpg What can you say?! You can say this and that is the very big difference, I know. Joke. And yet, I can translate it that way, I think. If there was no article "the" and instead we would have an article "a" then we could translate it as just a child "ребёнок" - not defined in any case, but now just only, in this case, we have a special article that defines the word "child". We have an additional information about this child, don't we? Why don't we use this moment and emphasize it in Russian? We can say this phrase exactly in such way in Russian, isn't it? And it doesn't make any special difference between these phrases. Maybe I don't know what kind of child we're talking about. :) Of course, it sounds strange, but I don't speak about my feelings at this moment, I would like to understand all the details. It seems to me that if we have some definition in English, we should have the same in Russian or in any case we should not consider it a mistake. I can ask in this case, if we are so confident in this situation, why do we even use the article??? We can avoid any article in this case, and it will be clear in any case. :))) Am I not right? Or do we have grain in this dispute? And finally, I think it's more natural for a Russian person to say, "У ЭТОГО ребёнка нет отца" than "just": "У ребёнка нет отца." In any case, it depends on the situation, on the emphases, stresses, accents and so on... And frankly, here at Duolingo, we can see a similar situation very often. We see an option in Russian "Этот", and when we see the translation, normally we find "the", not "this"... Thank you for the response. I agree that you see on Duolingo on the English-for-Russian-speakers course, that это is translated as the. However, I think it is too bad that they have taught you to translate the in this manner. I recently read something which, when I read it, immediately made me think of Russian lack of articles a/an/the, and the English use of articles -- even though the paragraph was talking about Latin and French. I hope this may clarify what I am saying a little better. So the refers to something we might have talked about or something which we know by the speaker's reference. "Shut the door, it's cold!" (Don't just shut any door that you feel like shutting; shut the front door!) "The child whom you and I were talking about a bit ago has no father; so don't be too surprised if he turns out to lose his hand in a saber fight and end up (spoiler alert) kissing his own sister." But this/that refers to something as if we are pointing at it, holding it, or focusing our attention on it. "This is the best phone I have ever owned; it's a flip phone." "This child, the child right here whom I am pointing at, has no father." John McWhorter, The Power of Babel: A Natural History of Language (New York: HarperCollins, 2003), 25.